I met with Jannie Greene at Aunny’s for lunch one afternoon. We sat down and talked about many different things. I like learning new things from people when I talk to them and suffice to say, I did not leave disappointed. I suppose since she’s a teacher, I shouldn’t have expected less. She and her husband, Tommy Greene, a retired police officer, have six grown children. Both have worked as professionals while living in Georgetown County. Although her husband is retired now, Jannie still teaches her science class and computer skills to her students at Waccamaw. “I was raised listening to my father tell stories to us when we were just children,” she said as we ordered our lunch. “He was a storyteller, too,” I asked. Nodding her head, Jannie answered, “Yes, they love to hear them. I think it helps the students to learn better. I’ve told them to go on my YouTube channel and they can hear the stories, and they say they don’t want to do that. Instead, they want me to tell the stories to them. Our lunch was brought over to us so we talked a little more about other things while we ate. We discussed Jannie’s ancestral roots, which I found interesting. She had some genealogy charts done and found several of her ancestors located from different African tribal areas; including, family in the country of Nigeria. I shared with her a story about an old lady I knew when I was young girl. She, too, was a storyteller and because of her heritage (being the daughter of a slaves), she told me a lot of stories about the Underground Railroad and her parents finding freedom in the north. I found my neighbor to be quite intriguing and Jannie reminded me a lot of her. What actually brought Jannie Greene to my attention in the first place were the stories she tells. I’ve found quite a few on Facebook and have watched her videos. 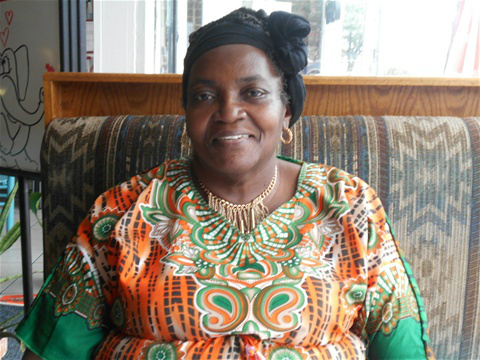 She’s known as The Gullah Lady on her site. 1) Marty and The Dancing Butterfly – this is a children’s book about a boy having to move to a big city following his parent’s divorce. 2) Lowcountry Lore: Haunts, Hags, and Plat-eyes – this is an interesting story about different South Carolina folk lore. 3) Grandpa’s Tales – the book is based on southern superstitions and home remedies. I’ve already started reading Lowcountry Lore and I cannot wait to get to the other two. If you get a chance to meet Jannie Greene and talk to her, you’ll find her to be easy, approachable and interesting. P.S. Thank you for the tip on Rev. Tommy T Shubrick Sr.’s wife – that was awesome.